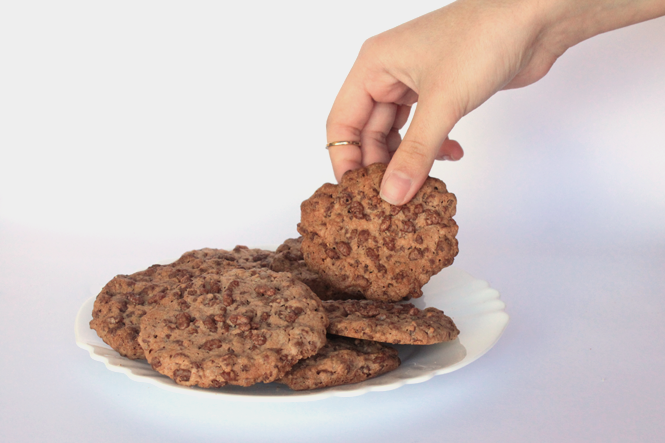 Today I want to share with you this fun and simple cookie recipe, perfect to make with kids. 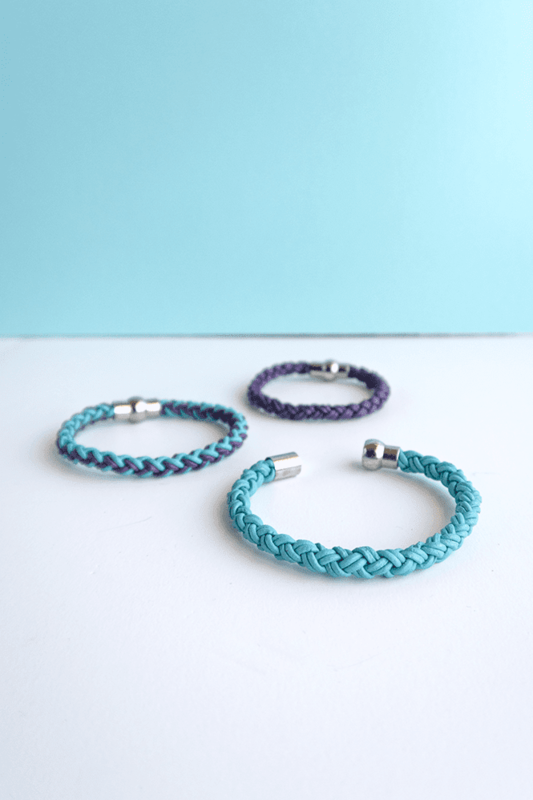 I had my sister helping me to make these. 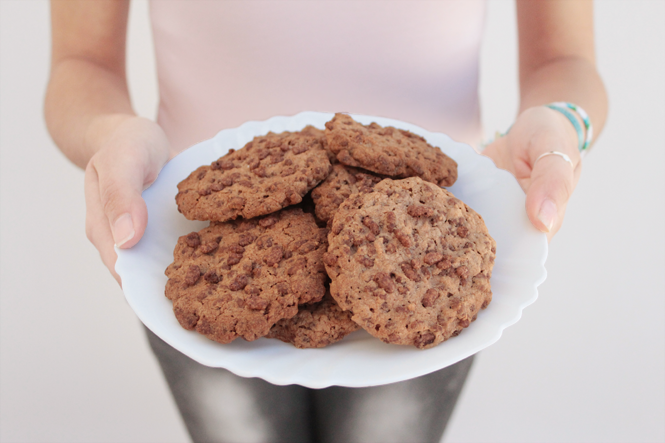 The main element in this recipe is chocolat crispy cereal, I also added Nesquik powdered chocolate, but you can leave that out if you want. 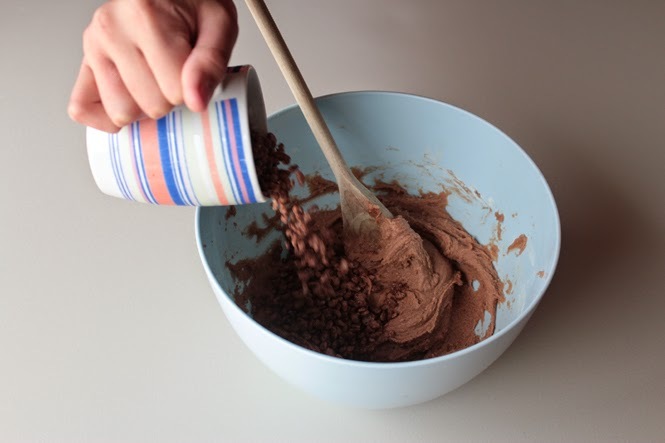 Add the egg and the chocolat and keep mixing. Mix the flour with the baking powder and add to the mixture. 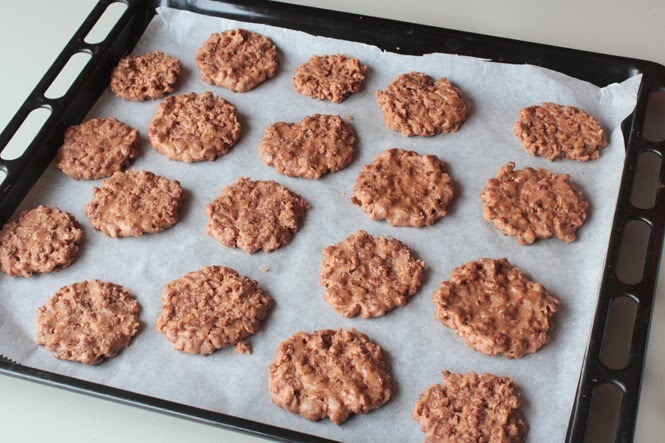 Place the cookies in a tray using non-stick paper and bake for 10 minutes at 180ºC or 350ºF. Let the cookies cool before eating, I like to accompany these with one of my favorite teas: raspberry and pomegranate from Tetley. I hope you like this recipe, if you have any doubts or want so suggest an alteration to make the recipe better please comment and let me know. These look so amazing. I just can't comprehend how good they must be! These look so delicious !